OPPO the Selfie Expert today unveiled its latest mid segment smartphone – the OPPO A7. 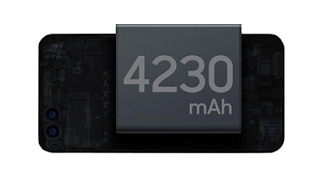 The A series has been among OPPO’s best-selling smartphones since its launch in India. The A3s created headlines with its huge battery while the A5 introduced more fashionable features with its diamond-shaped texture. The new OPPO A7 comes with two interesting features that customers value most - a 13+2MP dual rear cameras and 16MP front camera packed with a 4230mAh battery. 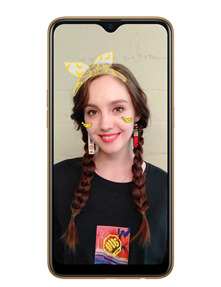 The OPPO A7 also introduces something entirely new to the A series; a unique Waterdrop screen along with 3D artistic texture on the back cover. 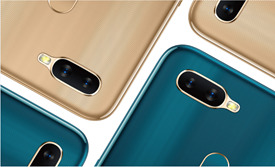 OPPO A7 will come in two beautiful color options Glaring Gold and Glaze Blue. The OPPO A7 is thin, light and comfortable because of its 3D thermally bent sheet which is modified to perfection. With the glass-like cover; the consumers would be able to feel the fine and smooth texture with the Grain pattern. Another carefully crafted detail is the middle frame; frosted and in contrast to the grain texture of the back cover, it makes the OPPO A7 look even more graceful. To showcase a high-end and fashionable look, OPPO selected two colors, Glaring Gold and Glaze Blue to create a color solution that subtly shifts depending on the light. With these beautiful designs and colors, OPPO’s key focus lies on the smartphone aesthetics. To provide a better user experience, the OPPO A7 comes with a 4230mAh battery, which frees you from the concern of your battery draining during the day. Adding to that, the thoughtful AI battery management freezes inactive apps and reduces excess caching to save more power. Through the powerful "Smart Bar", the OPPO A7 not only supports horizontal " screen multitasking" but also supports vertical screen multitasking. The Smart Bar can be triggered by sliding at both sides. In addition to the existing functions of full screen multitasking, Smart Bar also supports quick file sharing, screen recording, screenshots, and many other shortcuts. 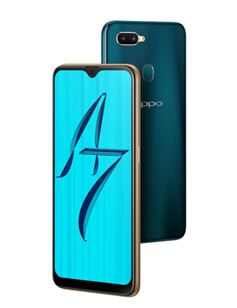 Available at a price of INR 16,990 the OPPO A7 will be the first ever phone to have a water drop screen in the A series and can be purchased with easy EMIs of INR 1416 per month. The phone will be available on platforms like Flipkart, Amazon and PayTM Mall. PayTM Mall is offering a Rs. 1500 cashback voucher. Apart from this, customers can get a 5% cashback using an HDFC debit or credit card and with Paper Finance EMI O-down payment option. Jio is giving free 3.2 TB data and additional benefits of upto RS. 4900.